RankMe is an online software package that has been developed by Radu Hahaianu and Tioden LTD. It claims to be able to take care of all SEO aspects and deliver position 1 rankings for your content. Pretty bold claims for a software suite that costs less than $25. In theory, if this product delivered on all its’ promises, it would be ideal for anyone who wants to get traffic to their online businesses, but generally when something sounds too good to be true, it usually is. This tool is a prime example of this. Why? Well, let’s have a look at how RankMe’s included tools work. RankMe promises included training that will teach you how to use the tool. This training consists of 3 short videos that go over using various features of the product. One of the included features is a tool that helps you complete keyword research. 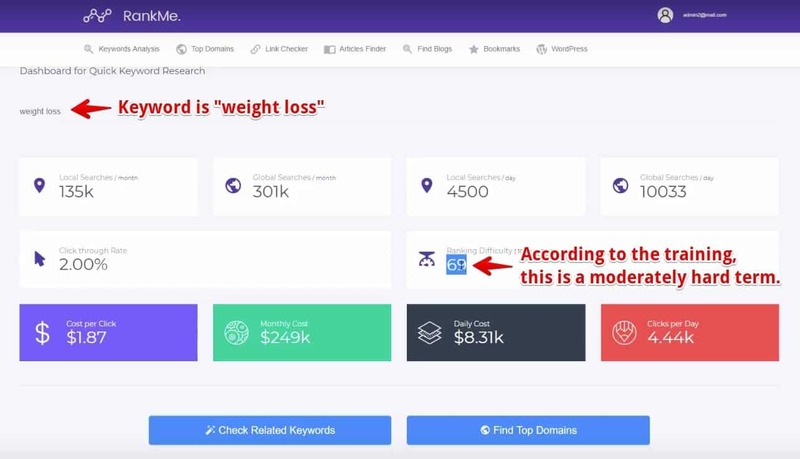 Just like most premium keyword tools on the market, it gives you a measure of competition that makes me question exactly where they’re obtaining their data. If you’re familiar with basic SEO however, then you know outranking authority websites is very challenging and outranking sites such as WebMD and Women’s Health Magazine is next to impossible without a lot of time and a substantial budget. 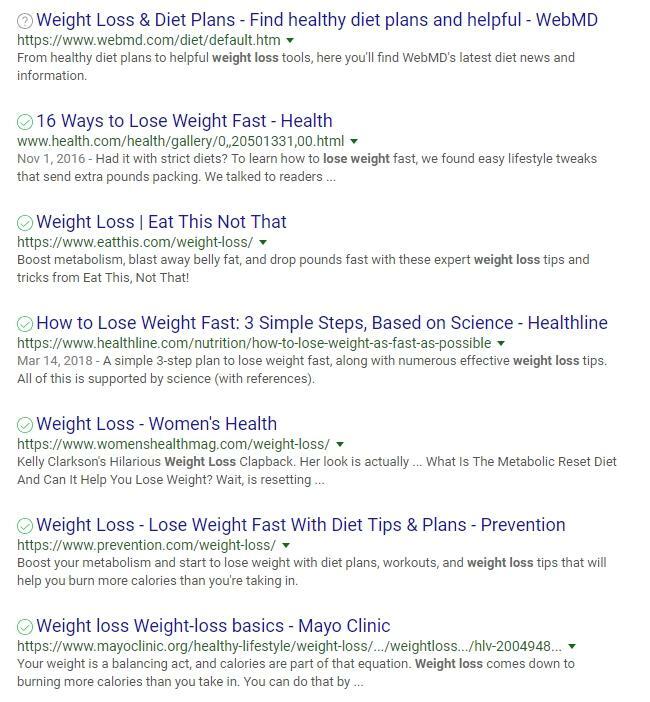 A quick Google search for the term weight loss reveals that the top result is held by WebMD with the last one on the first page belonging to the Mayo Clinic. This is a major concern as the training tells you that you should be able to rank for this term however, all you would accomplish by trying to write for it would be wasting a lot of time. The results that it delivers makes me question where it’s gathering information from. According to the tool, the top-ranking websites for the keyword “money,” are blogs like The Penny Hoarder and survey websites like Cash Crate. However, once again, a quick Google search reveals entirely different metrics and shows much more authoritative websites such as Time Magazine and CNN as holding the top results. Even an authority powerhouse like Wikipedia is at the bottom of the page. These competition discrepancies make me wonder exactly where RankMe’s data is being pulled from. If you’re at all familiar with SEO, then you already know that one of the biggest ranking signals is creating unique quality content. While the curation tool inside of RankMe does have the potential to produce unique content, it uses article spinning software to create it. This method worked well several years ago and allowed you to create content that would rank on search engines by merely changing words to synonyms inside of other articles. In modern SEO, search engine algorithms are intelligent enough to detect these spun articles. 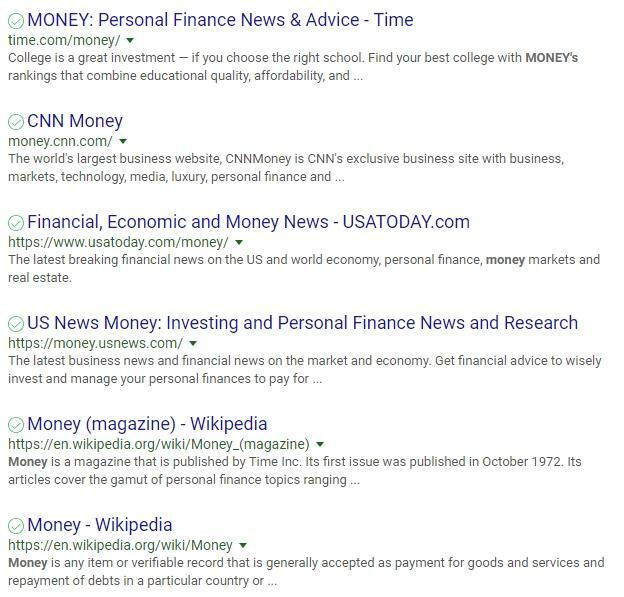 In fact, Google has said that they will not rank multiple articles that say basically the same thing. Instead, they choose to focus on the highest quality articles rather than ones that repeat the same information that can be found on another website. For this reason, I must question just how good the results of using the software would be when it comes to getting your website ranked at all, let alone having it rank and position 1. I was able to find one good part about the tools offered inside of RankMe, with a couple of minor discrepancies. When it comes to basic SEO, the tool offered by RankMe does cover the basics. It is important to note that you can accomplish the exact same thing with the free plug-in called Yoast SEO. Also, the first of the two minor discrepancies that I mentioned is that the SEO tool encourages you to create short content ranging from 400 to 700 words. In recent years, more and more SEO professionals have spoken out about the importance of creating longform content that is at least 1000 words in length. For more competitive terms like those shown in RankMe’s training, you’re encouraged to create content of at least 3000 words. 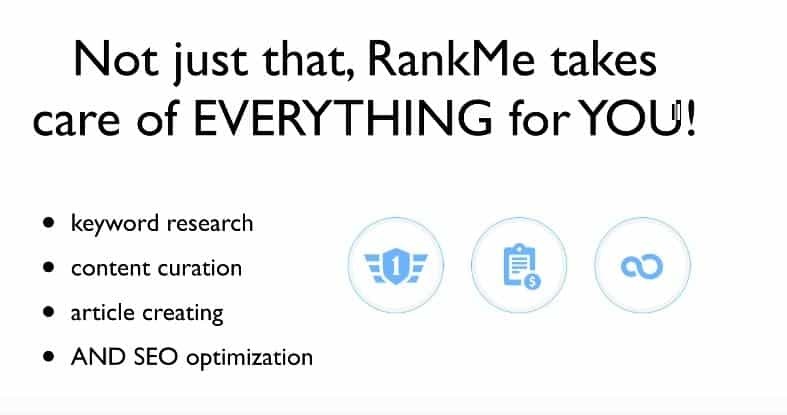 The second big discrepancy that is showcased in the training for RankMe is how they go over ensuring that your keyword is located everywhere that it needs to be. Basically, inside of the training they show that if the keyword isn’t present, simply adding it to the end of the title is enough to have your content rank on search engines. The important thing to know about this practice is that it simply doesn’t work as search engine algorithms are intelligent enough now to recognize when something doesn’t make sense. If you’re just adding keywords in random places throughout your article, the search engines will detect it and possibly penalize your website for doing so. 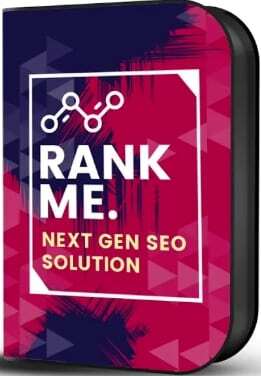 The RankMe keyword tool does deliver accurate numbers when it comes to estimating traffic that you could potentially generate by ranking for keywords. However, if you’re only concerned with how many searches per month a keyword gets, tools like Jaaxy will give you better information. As I mentioned above, the SEO tool inside of RankMe does help you to cover the basics for on page SEO on your website. Again, you can get a free WordPress plugin called Yoast SEO that will deliver even better results. The competition scores that RankMe produces are far from accurate. The keywords that the tool shows to be easy to rank for are in fact, very challenging. This means that you may spend hours of time and substantial amounts of money trying to rank for terms that would be almost impossible for a blog to rank for. The sites that appear in the competition tool are questionable. Inside of the tool, the results that show on page 1 are not from large authority sites. The results found on Google, Bing and Yahoo are all from large authority sites like Time, CNN and WebMD. In the past, you could simply replace words in content with synonyms and rank your website. Now, this tactic doesn’t work and could potentially keep your content from being indexed at all. 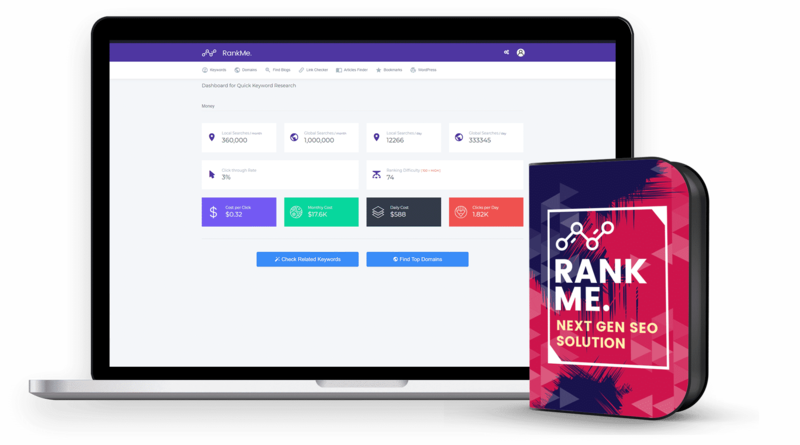 RankMe Review – Is the Software Worth it? Taking everything that I noticed while going through the training for the software, I have to say that I don’t believe it’s a worthwhile investment. This is largely because of the recommendations that the tool makes for keywords that are considered easy to rank for and its’ use of spinning software. Also, the tools that do work well and give accurate data can be replaced by free alternatives. All in all, in my opinion, you could invest your money in other areas that would be far more effective to the success of your online business.  As mentioned in the review above, if you’d like to find tools that deliver accurate estimated keyword search volume and basic SEO analysis, check out Jaaxy and the Yoast SEO plugin for WordPress. If you’re looking for an all-in-one solution that teaches you the concepts of SEO and gives you all the tools you’ll need for running a successful online business like; website hosting, keyword research, content editing, an image search function, and more. Take a moment to check out my top recommended resource. Inside you’ll learn exactly what it takes to run a successful business online and have all the tools you’ll need right at your fingertips.